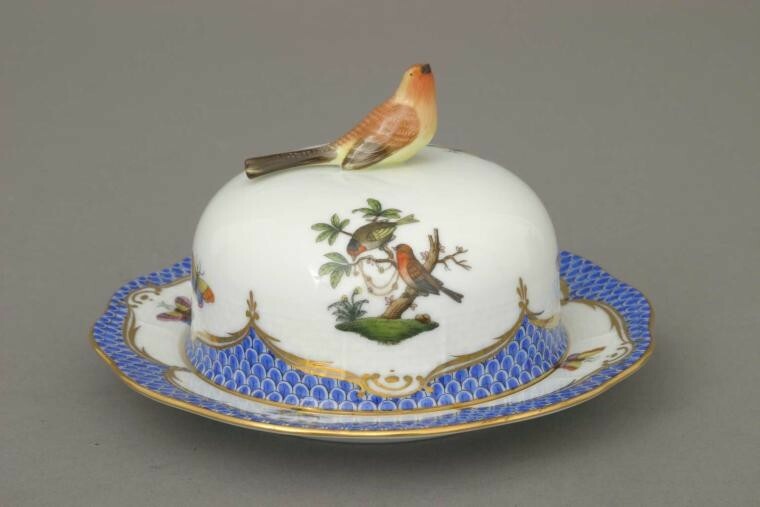 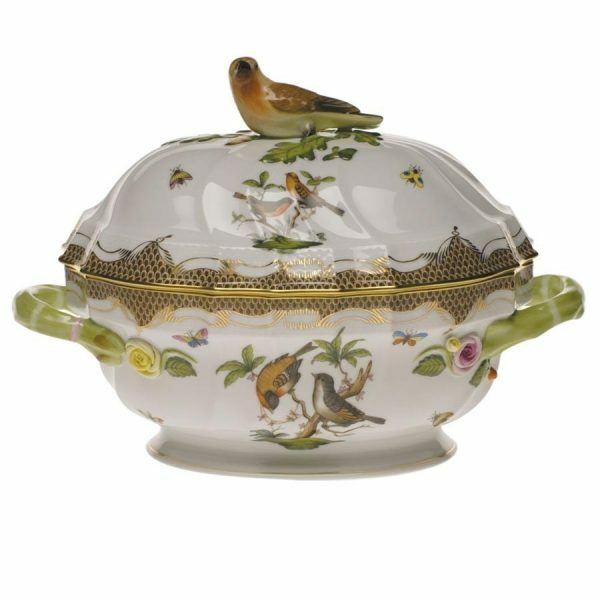 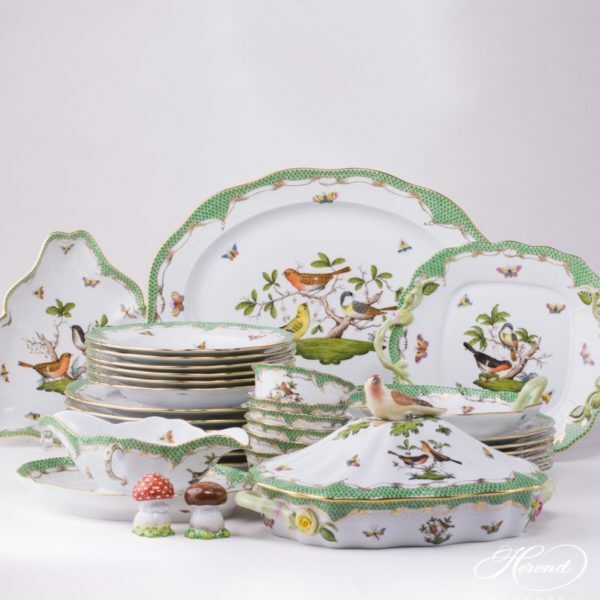 Rothschild Birds (Couple of Birds) are one of the Best Known Herend Porcelain Pattern,takes its name from the fabulously wealthy family. 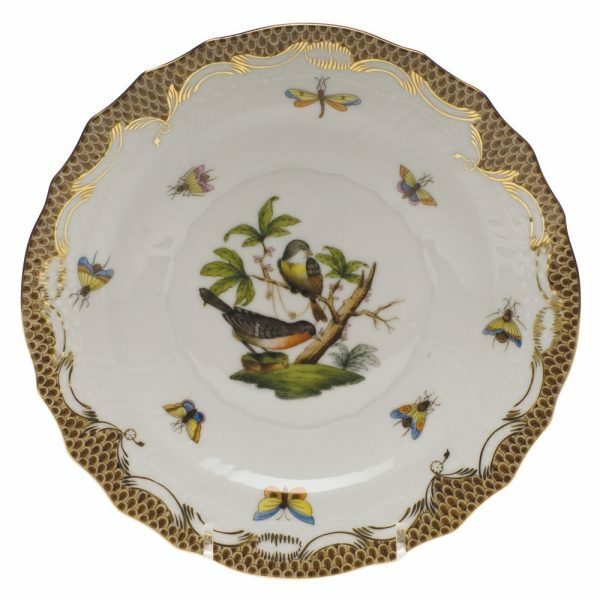 The several branches of the baronial Rothschild family regularly ordered services in the décor from the 1860s onwards. 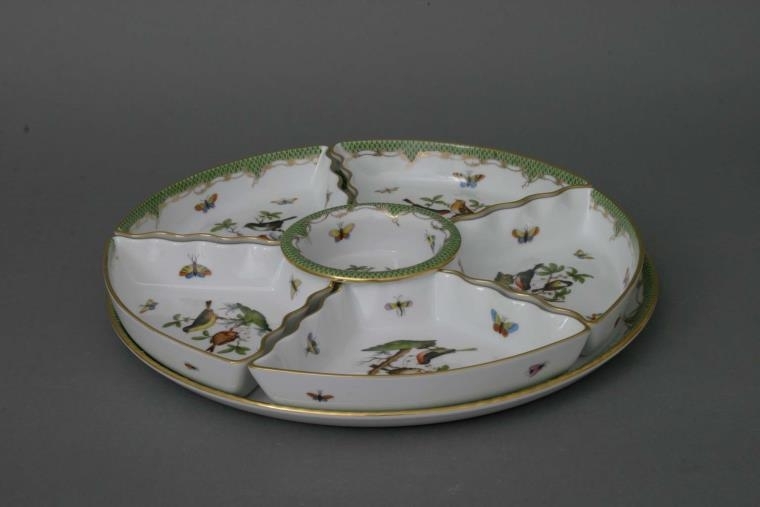 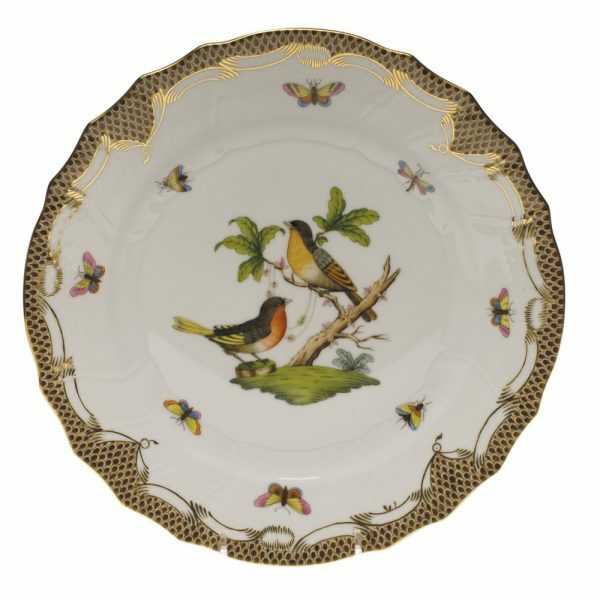 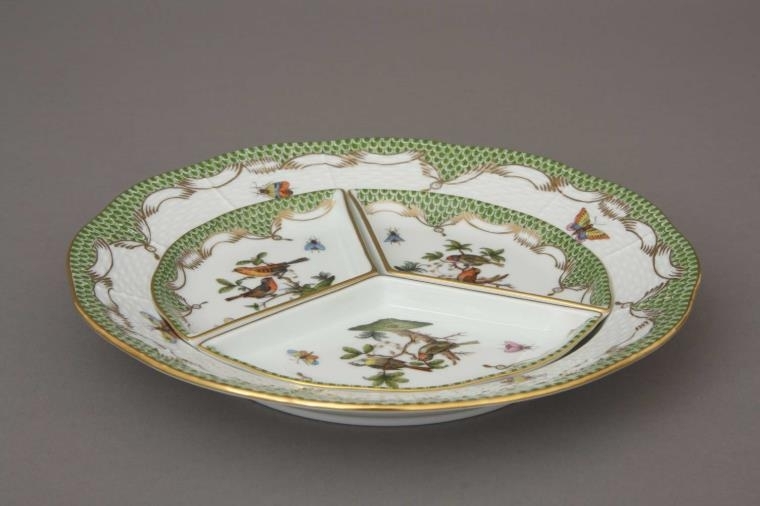 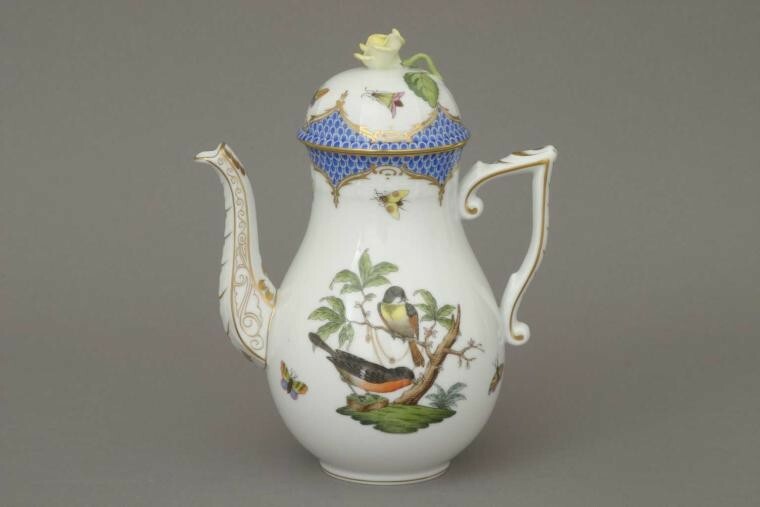 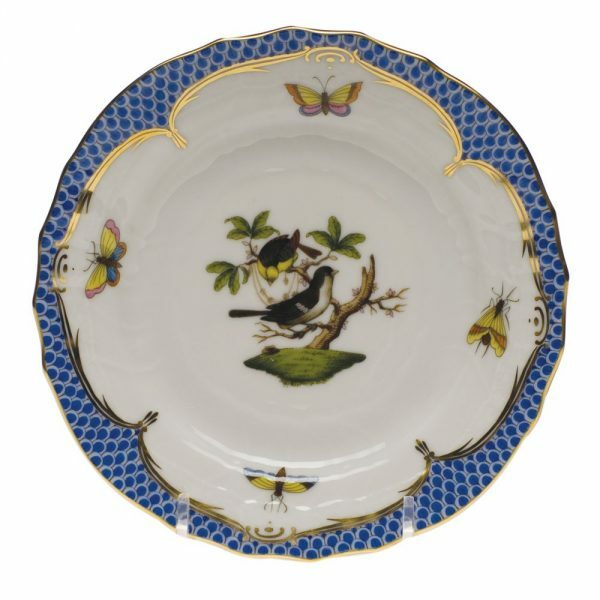 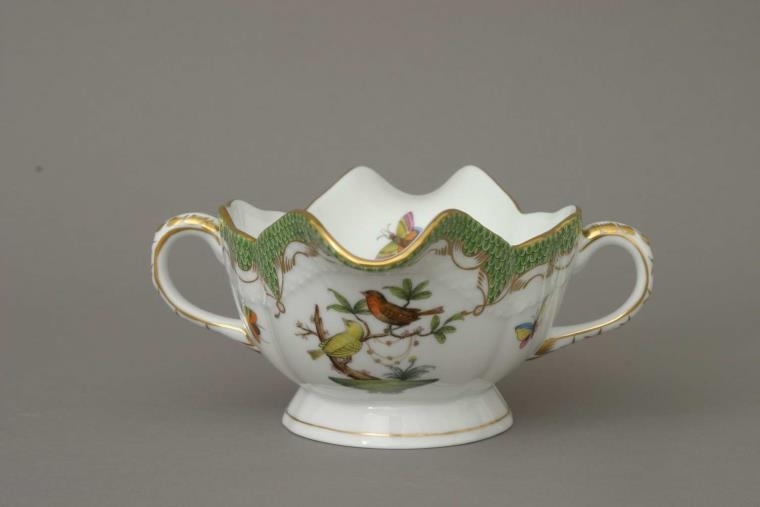 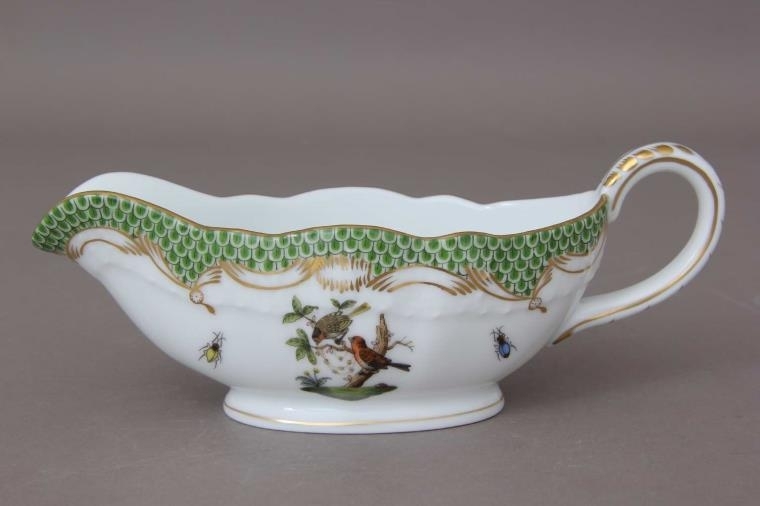 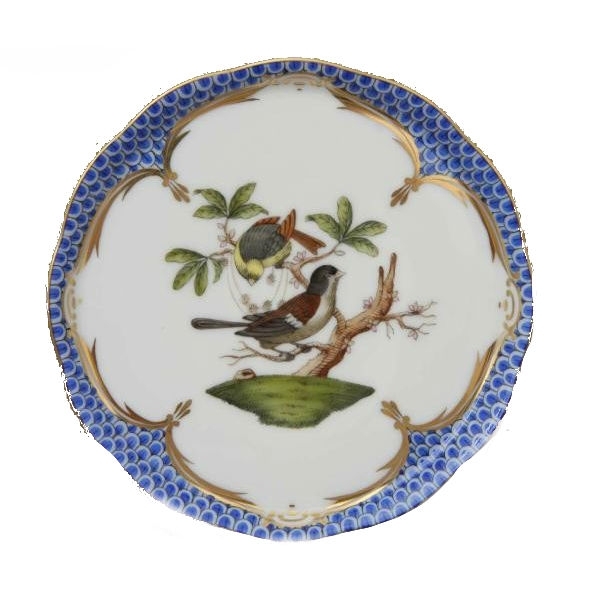 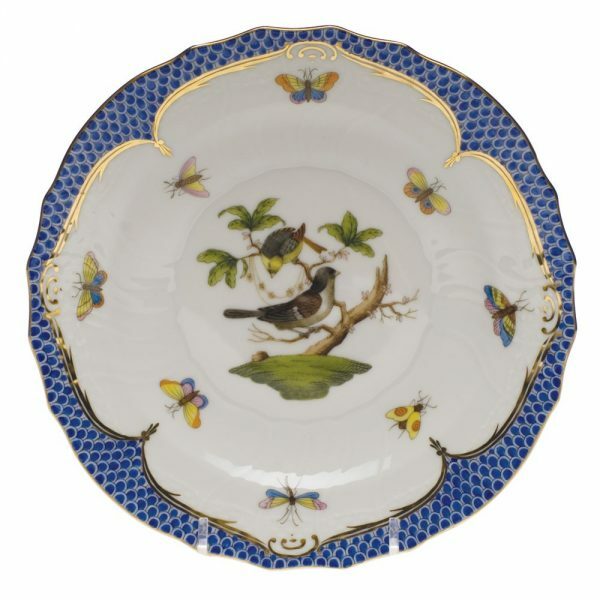 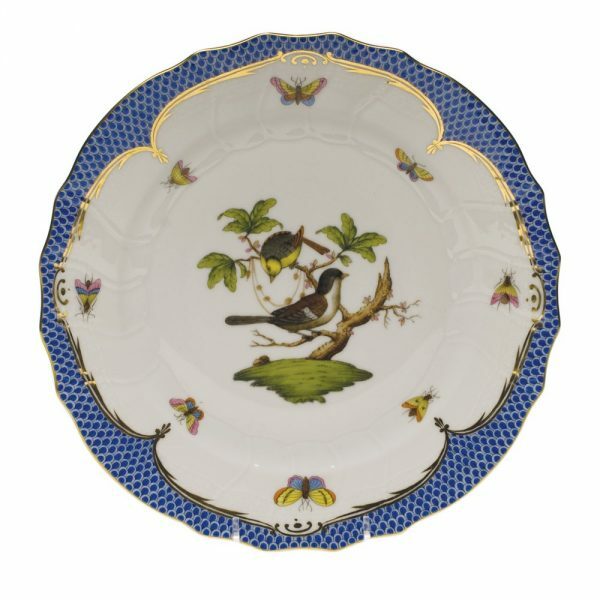 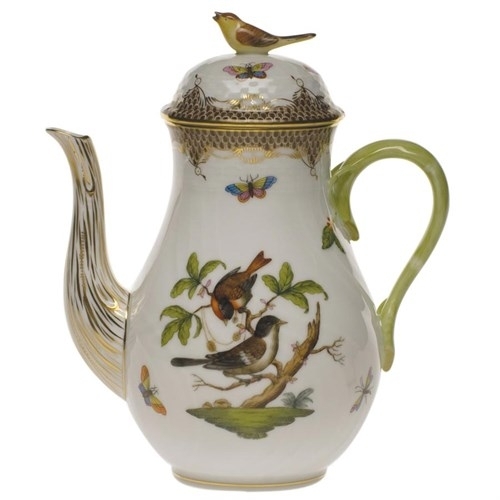 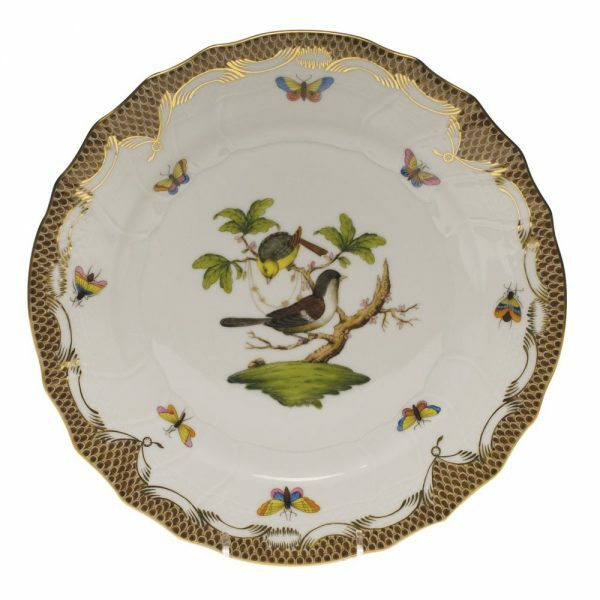 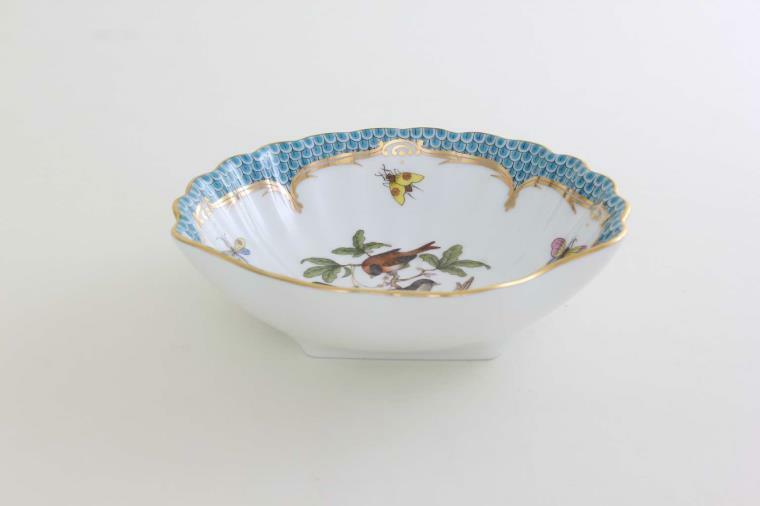 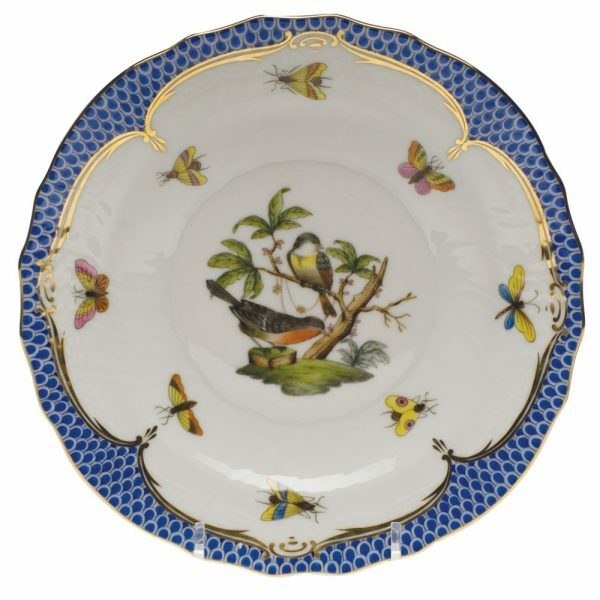 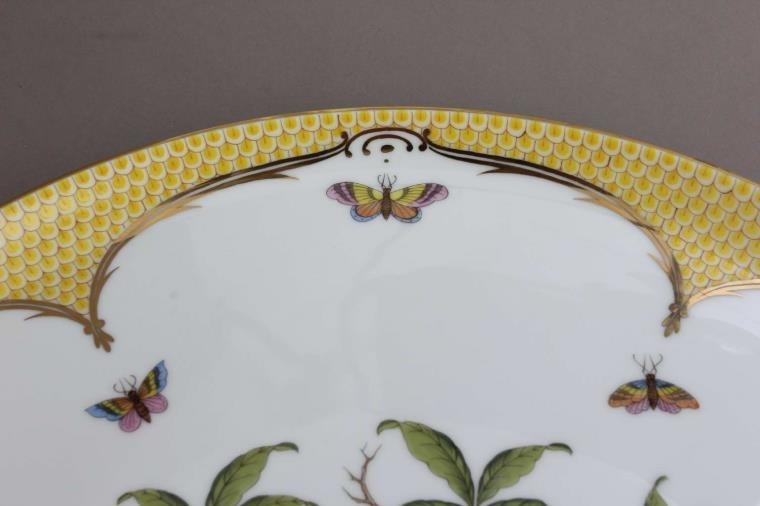 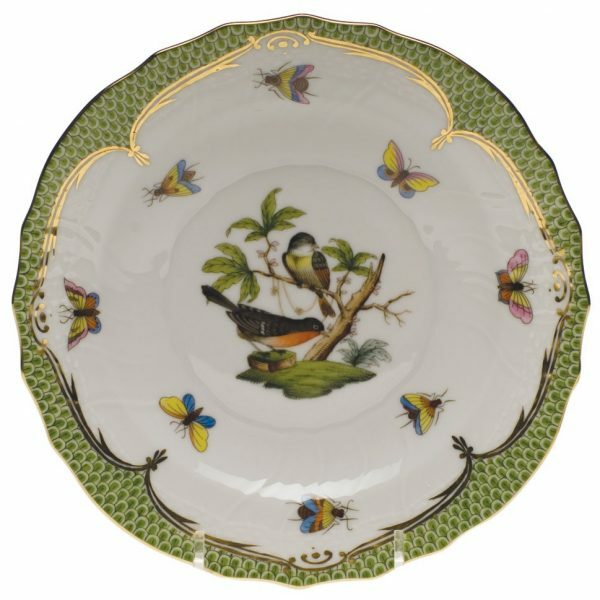 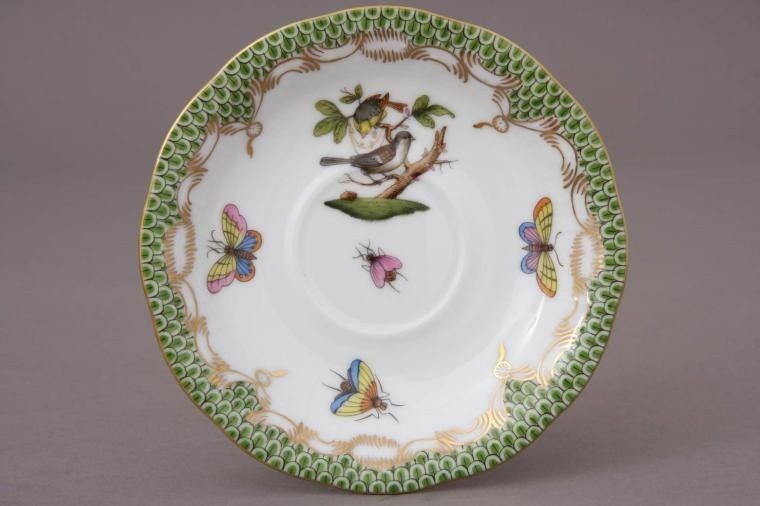 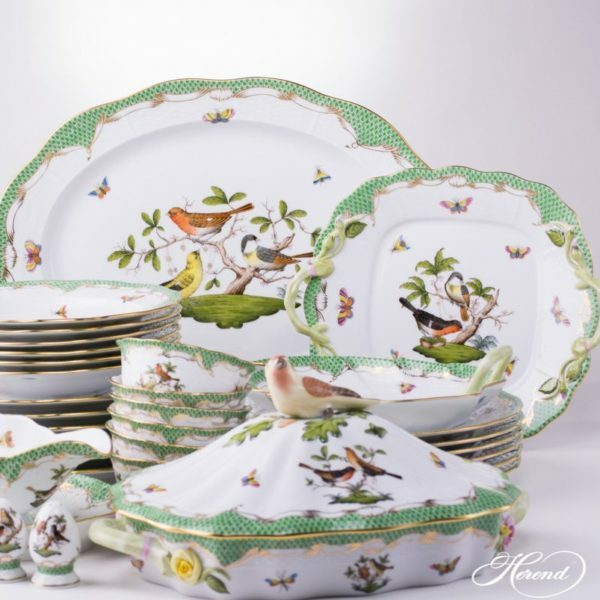 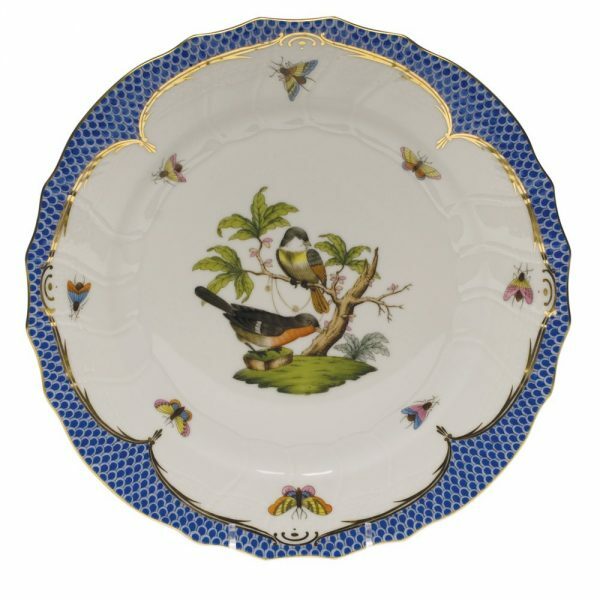 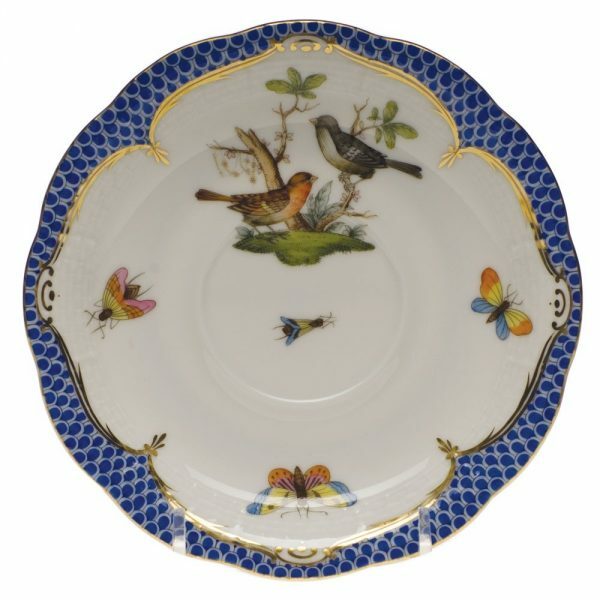 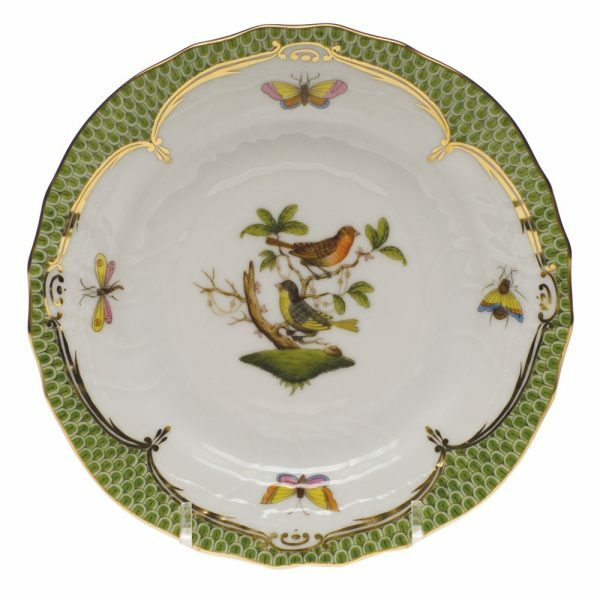 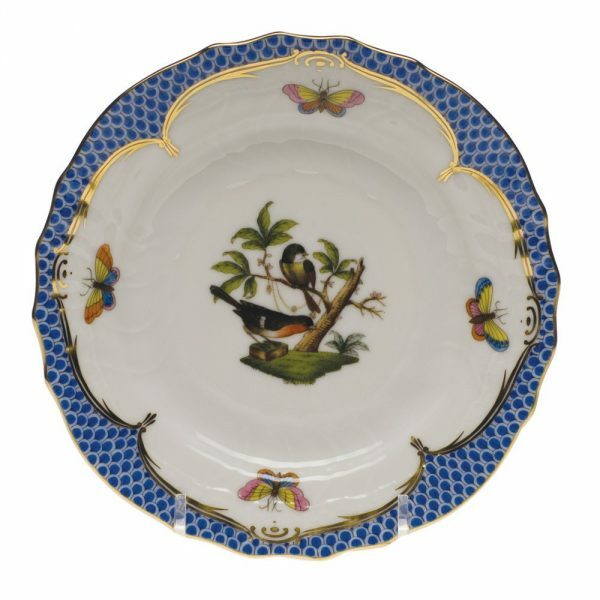 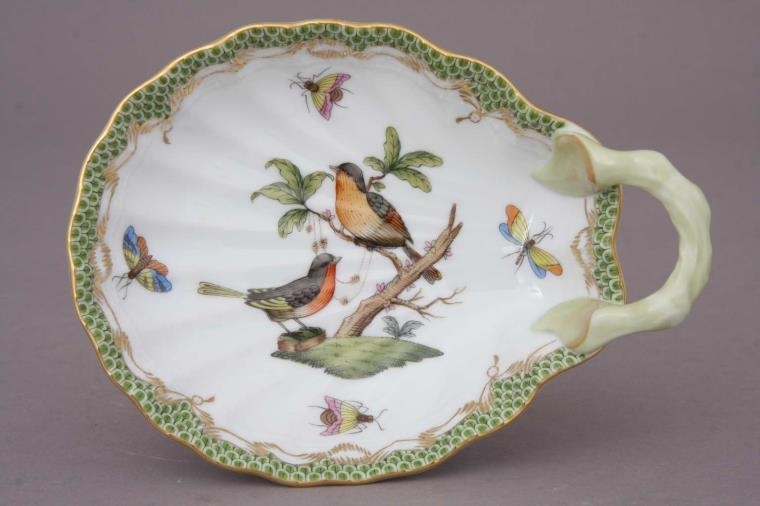 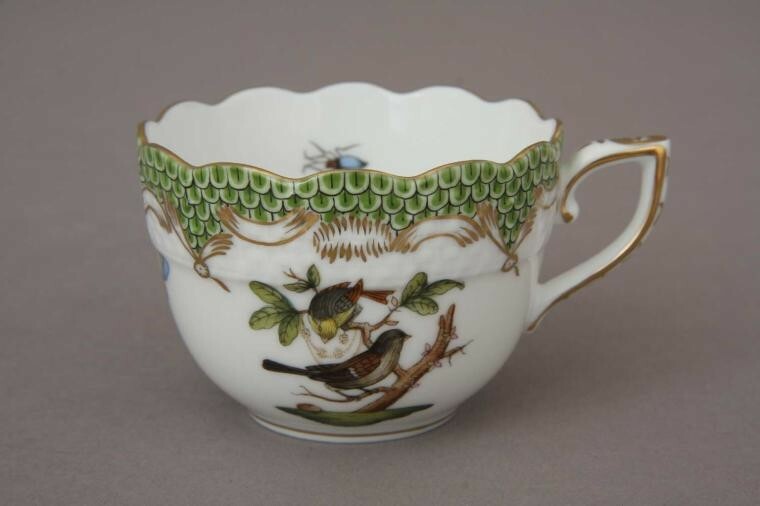 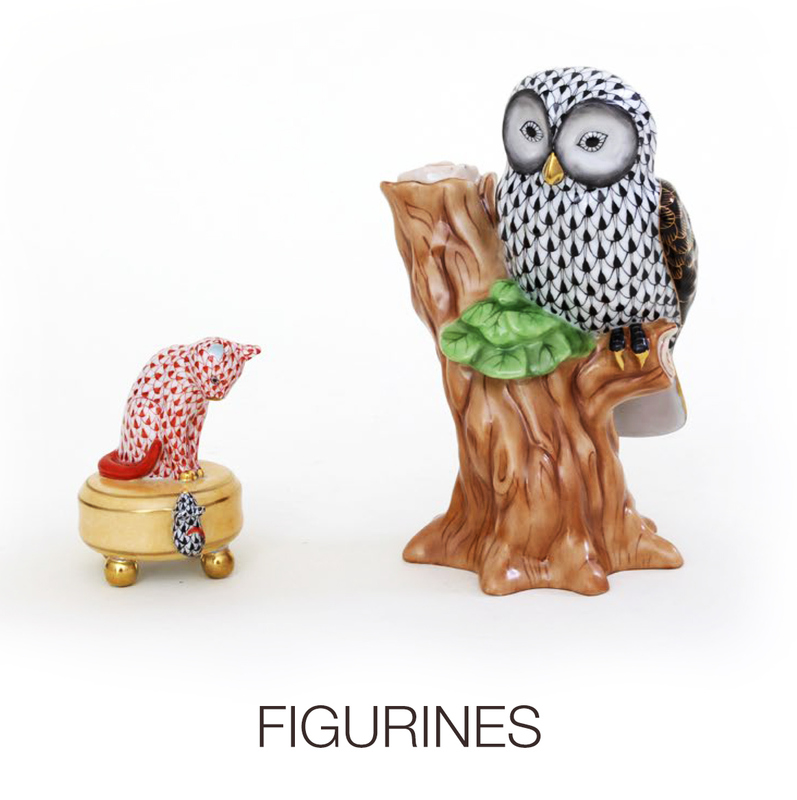 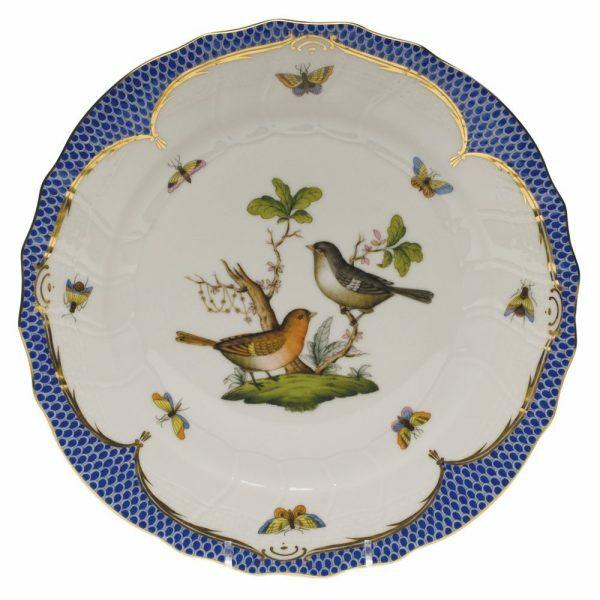 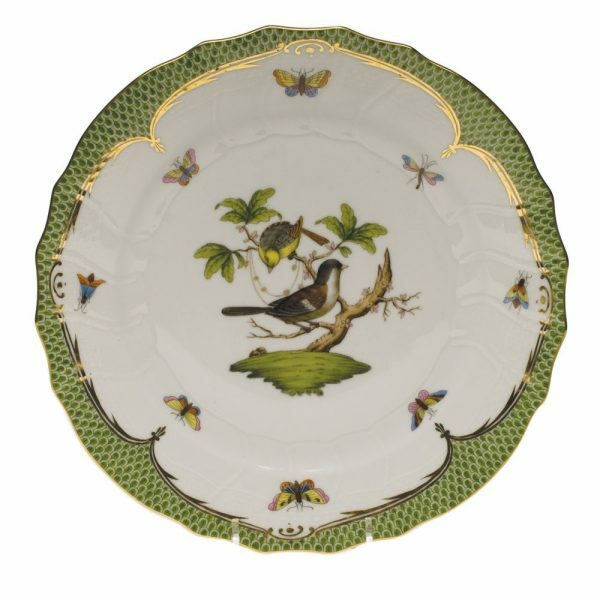 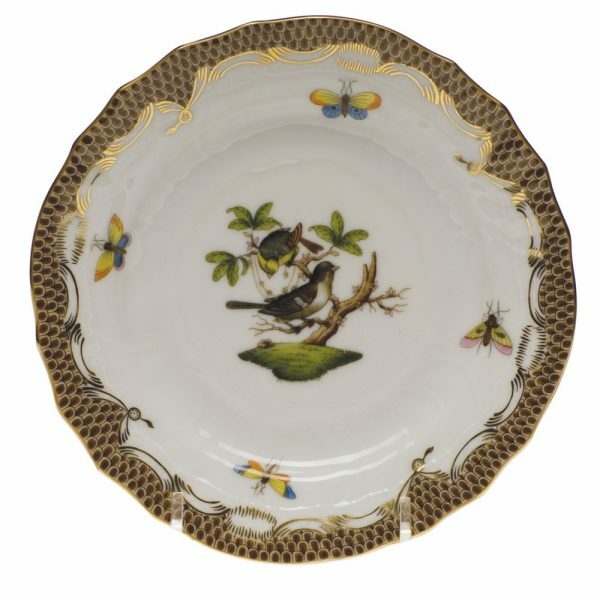 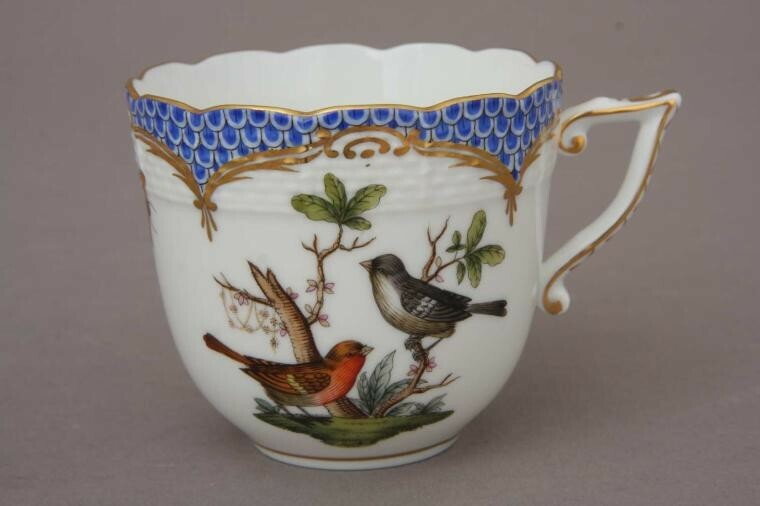 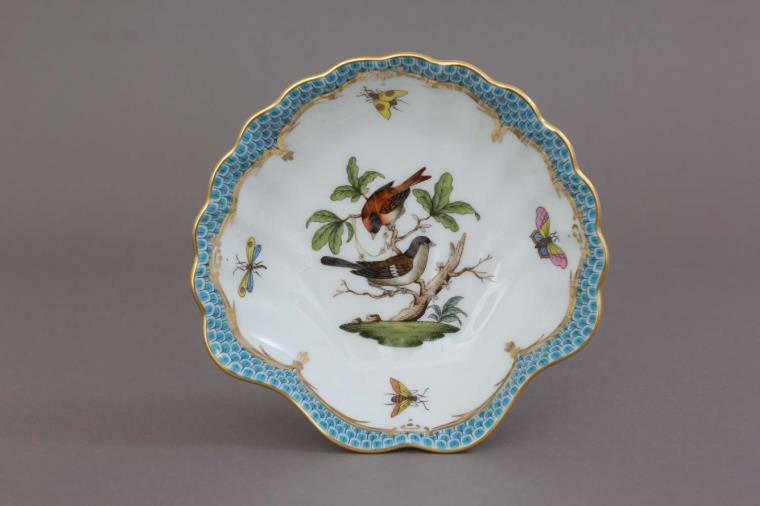 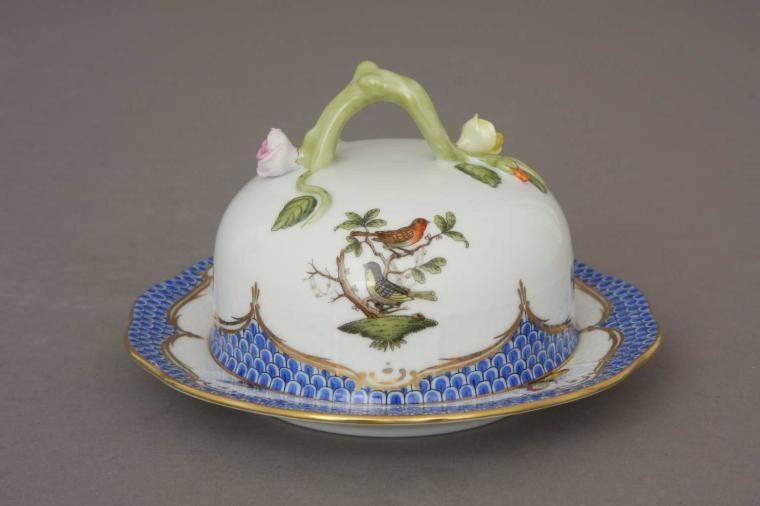 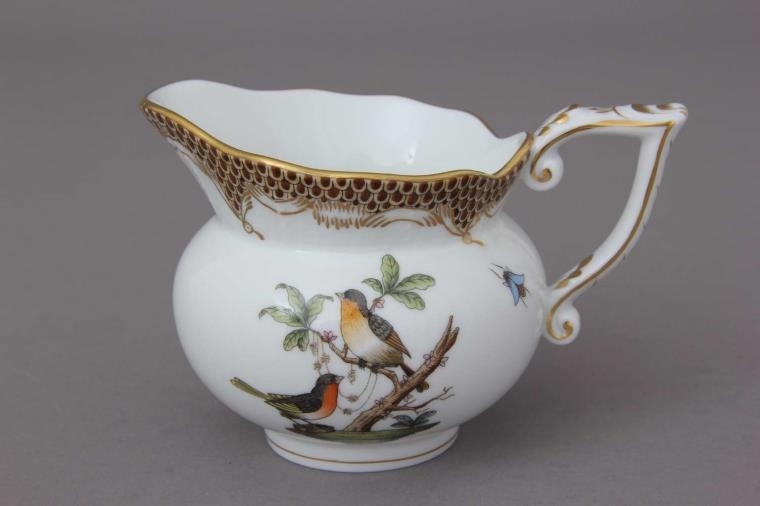 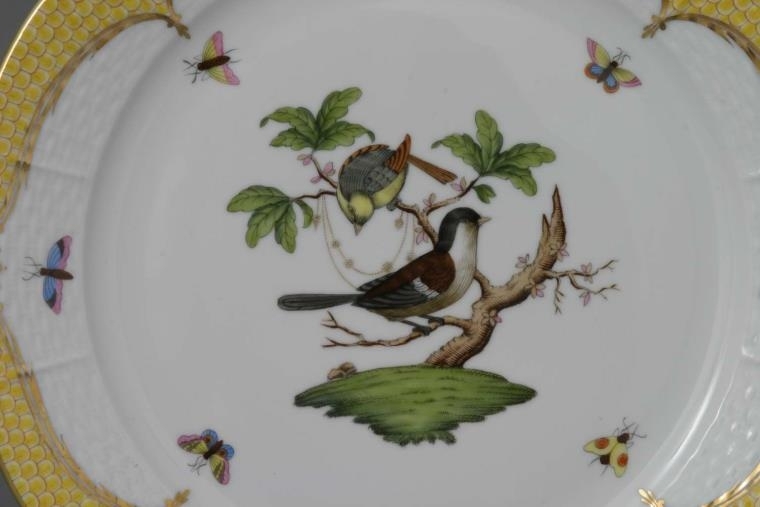 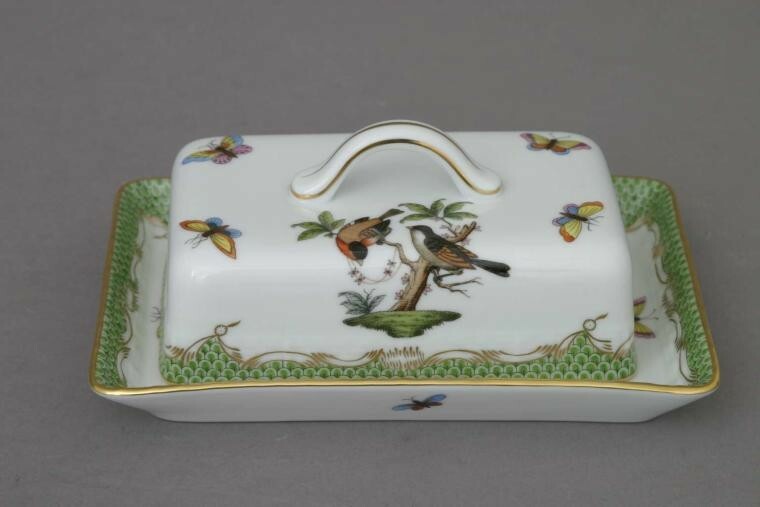 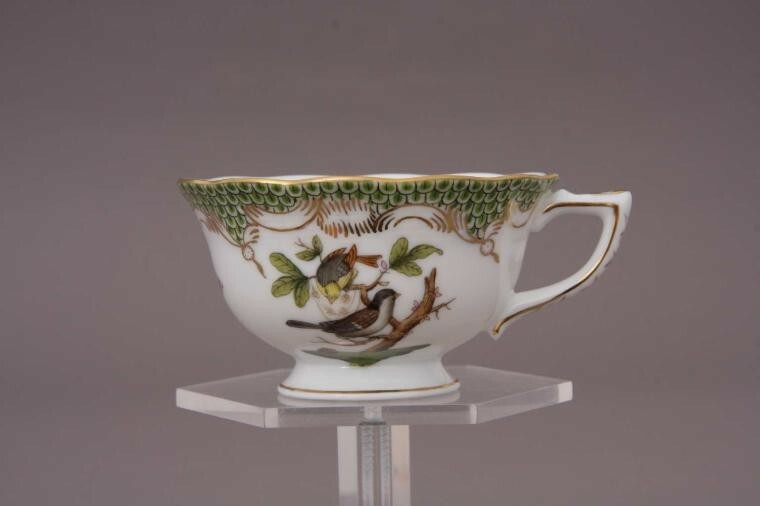 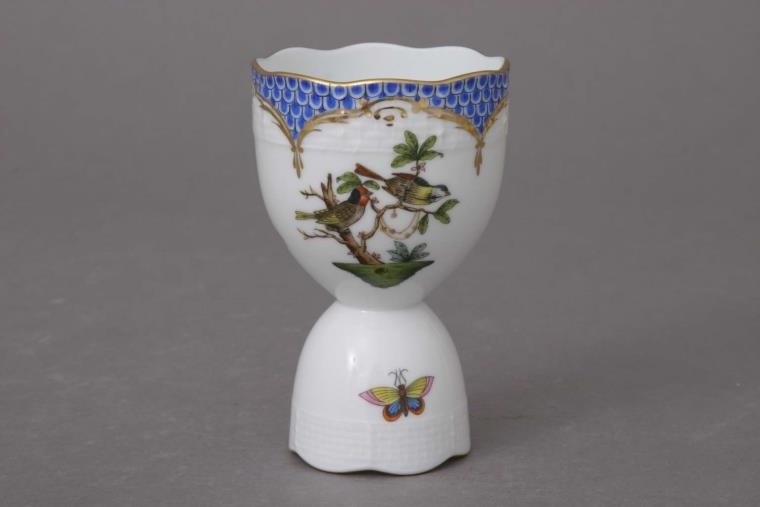 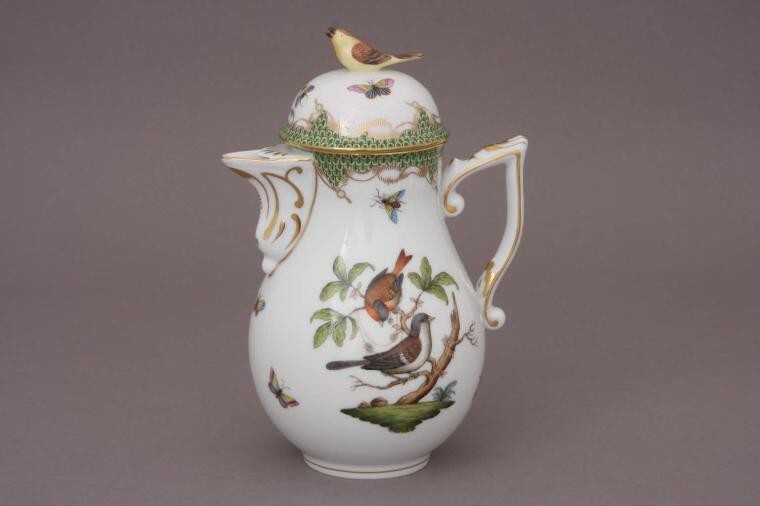 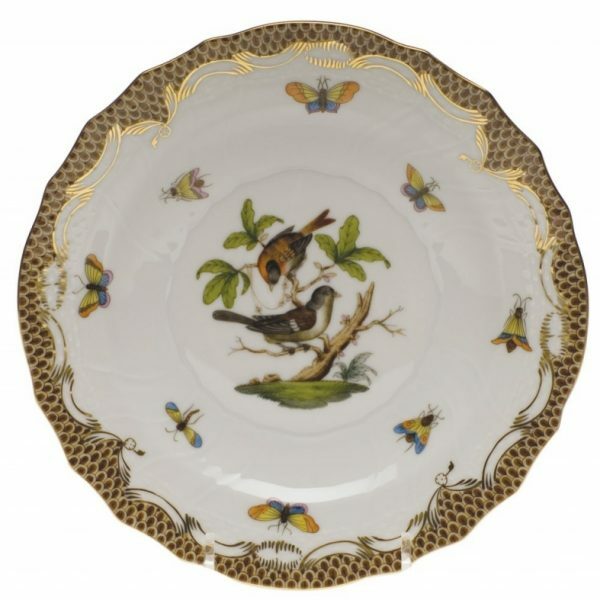 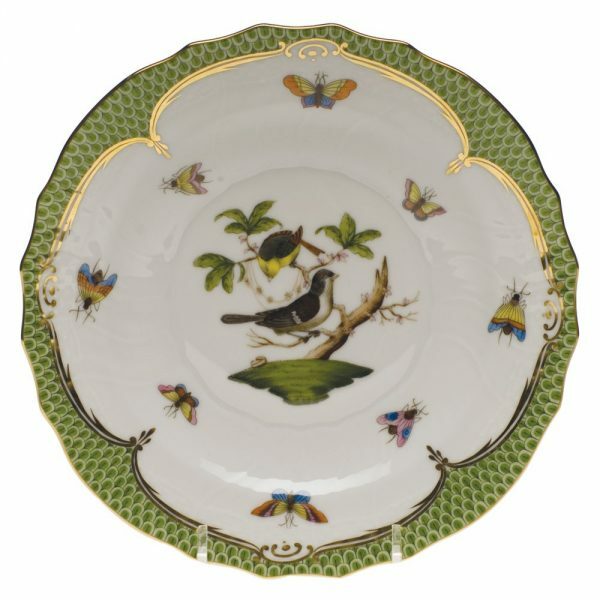 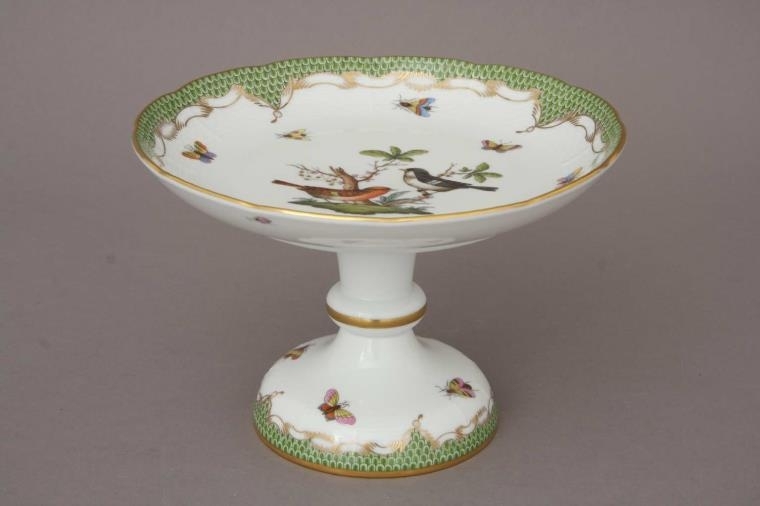 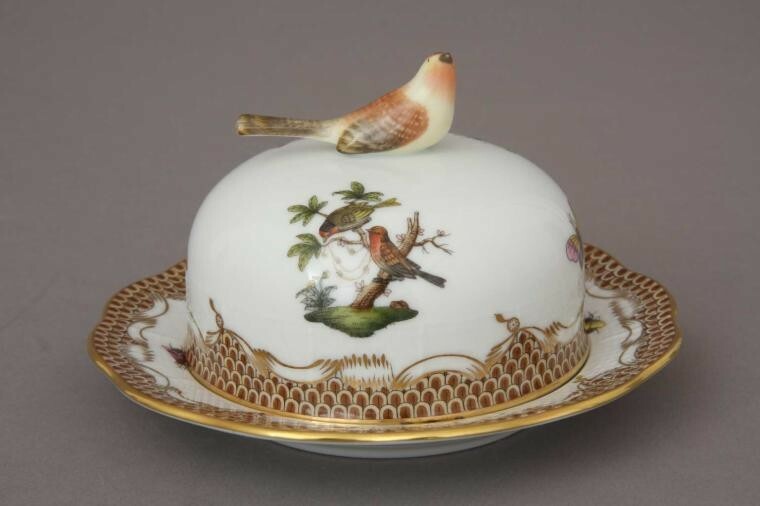 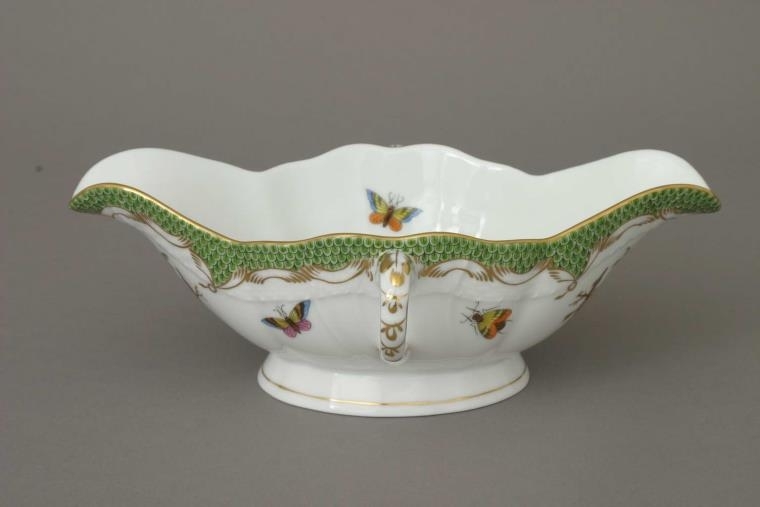 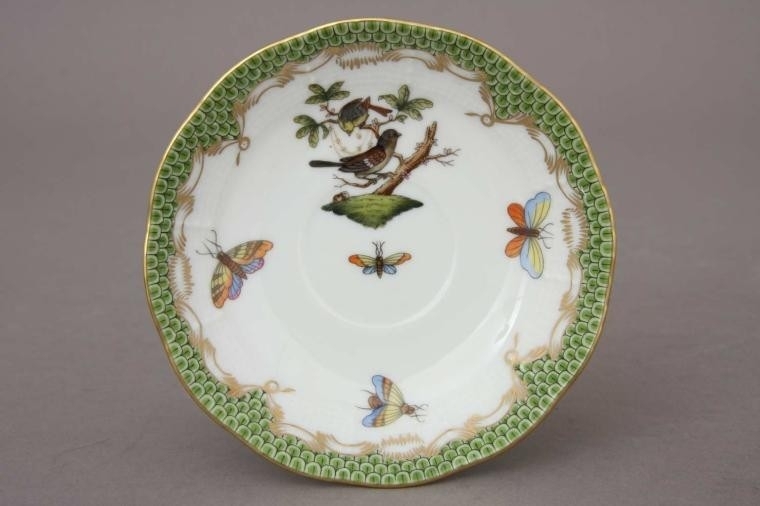 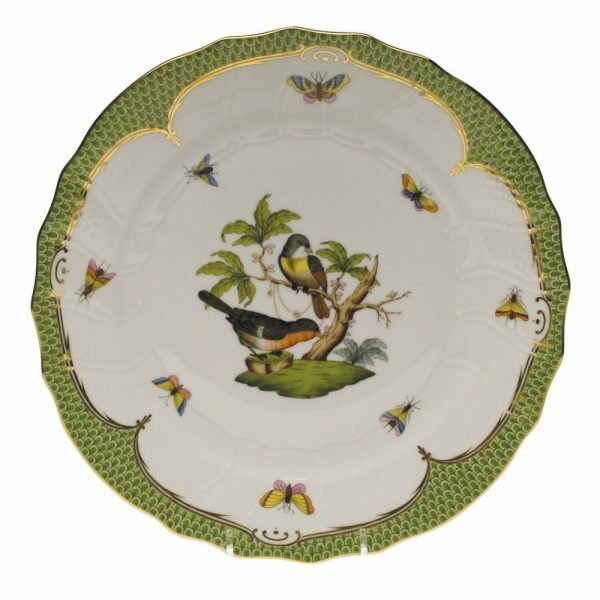 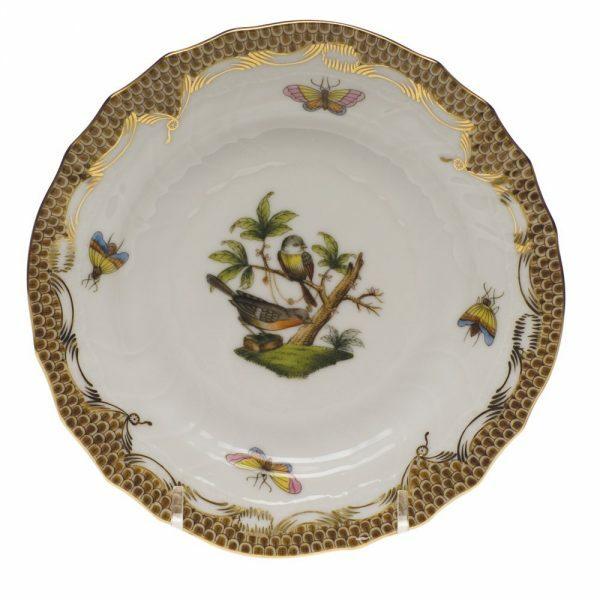 The Bird Motif spread to almost every European porcelain factory, where they were inspiration of Love as well. 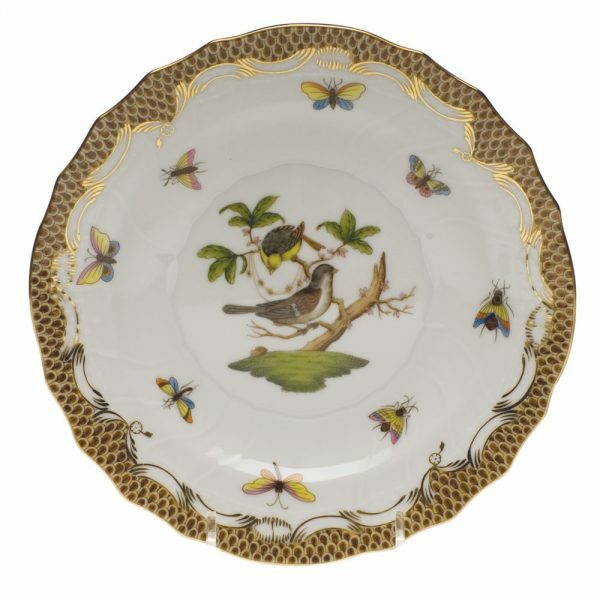 The RO with a Gilded Edge comes in 12 Variants of the Rothschild Birds. 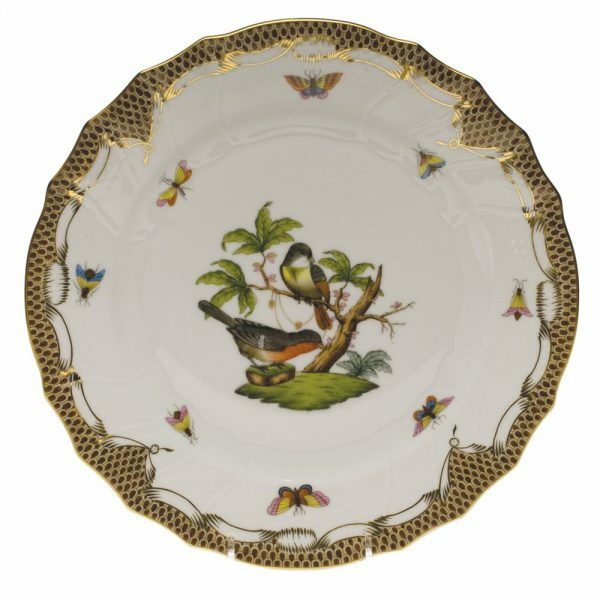 The main elements are the two Bird with a Golden Necklace. 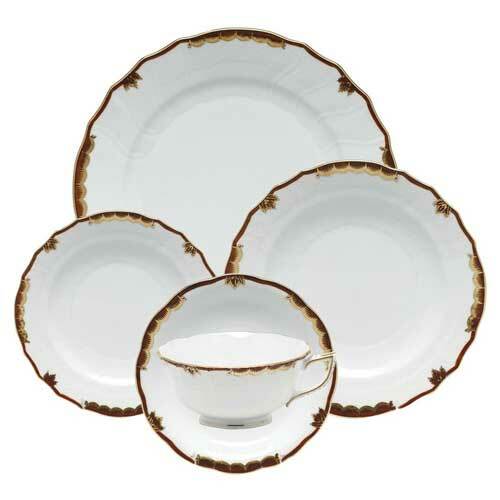 This is a famous family story. 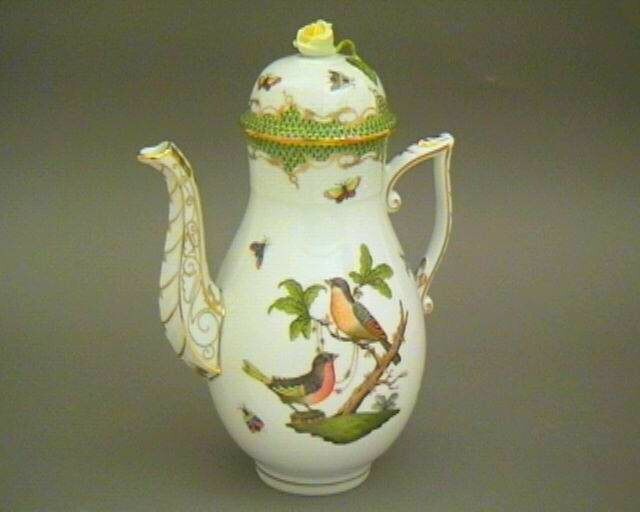 Originally the two Bird returned the lost necklace to the family. 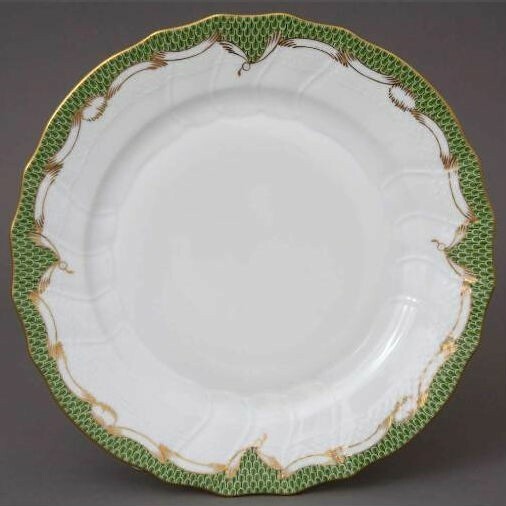 Rothschild is a name synonymous with Wealth and Prosperity. 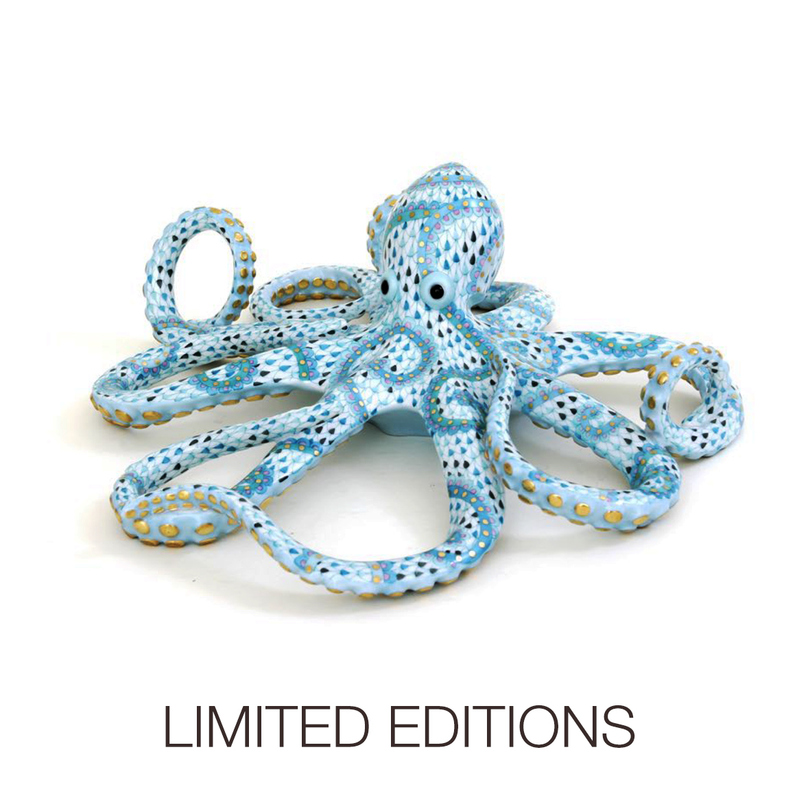 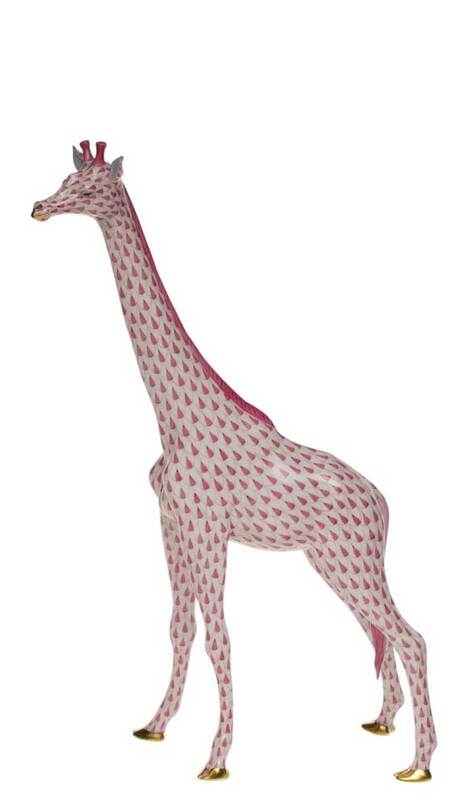 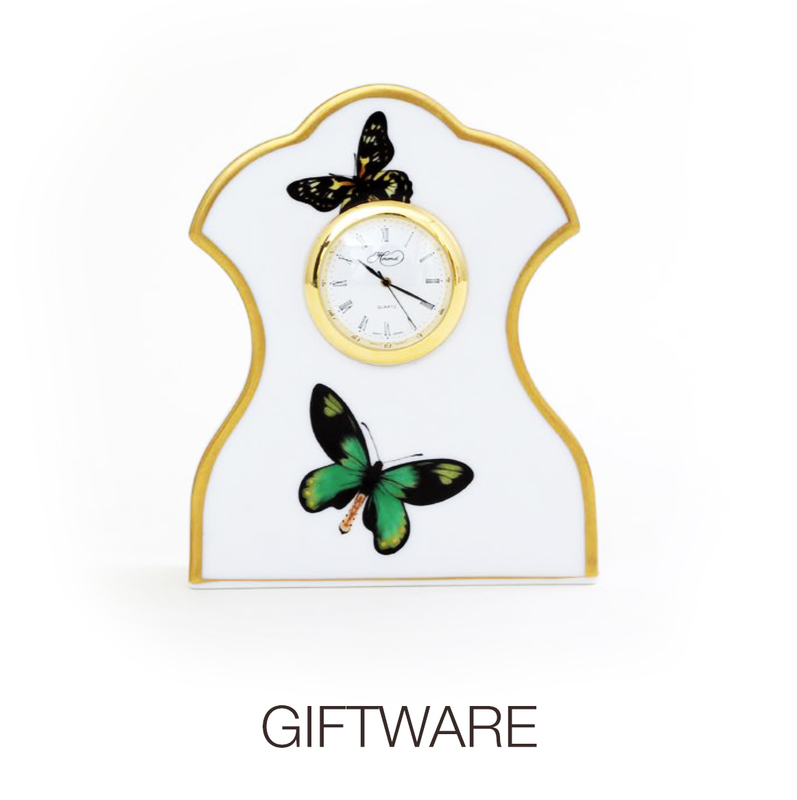 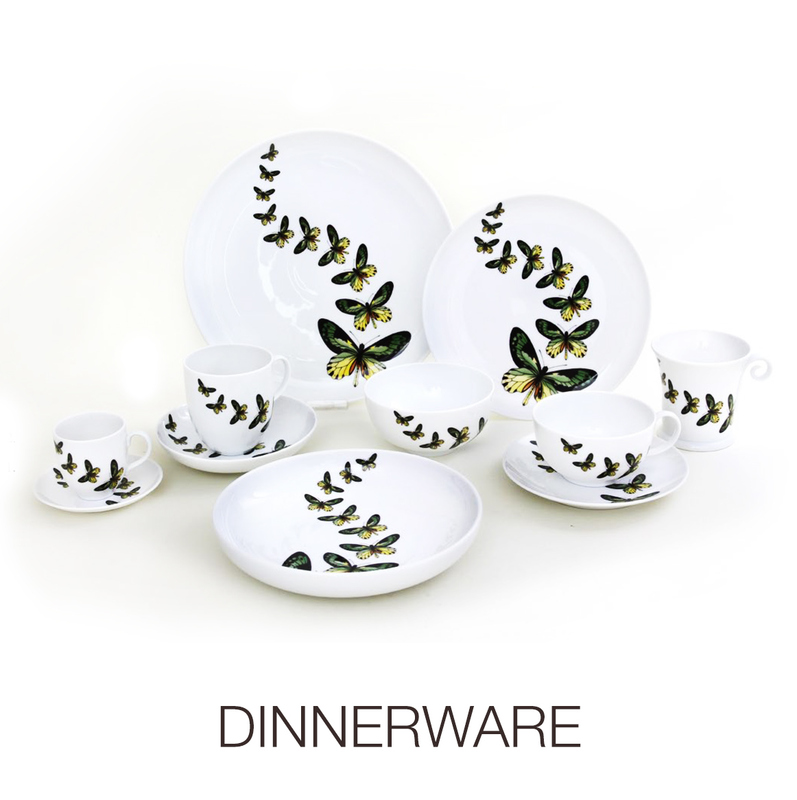 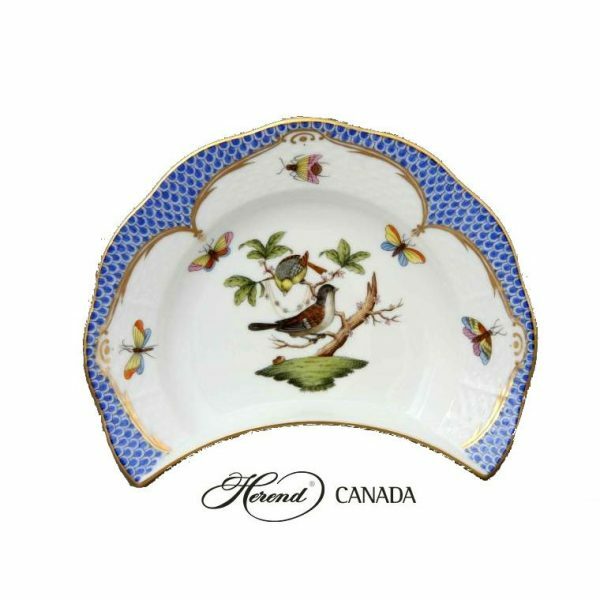 As the name of this pattern, it signifies Herend ‘s best customers, ever since the 1860. 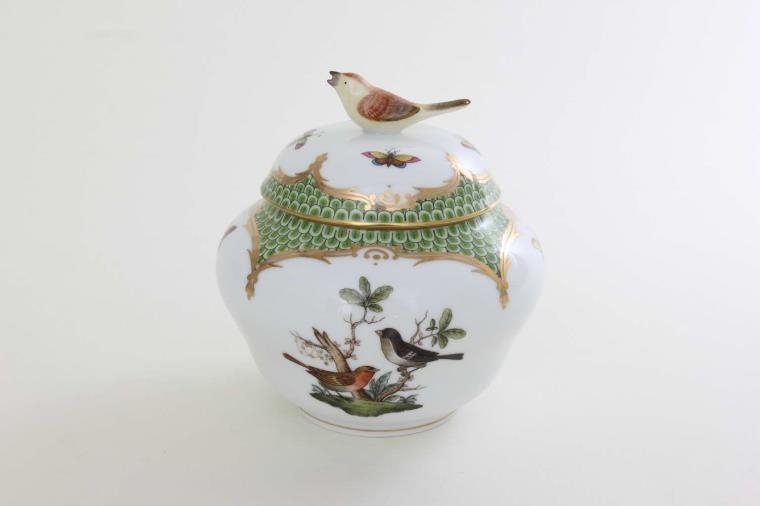 For connoisseurs of life, this means finding physical and mental harmony – for which wealth is no drawback – and helping those with whom they share their lives to do the same. 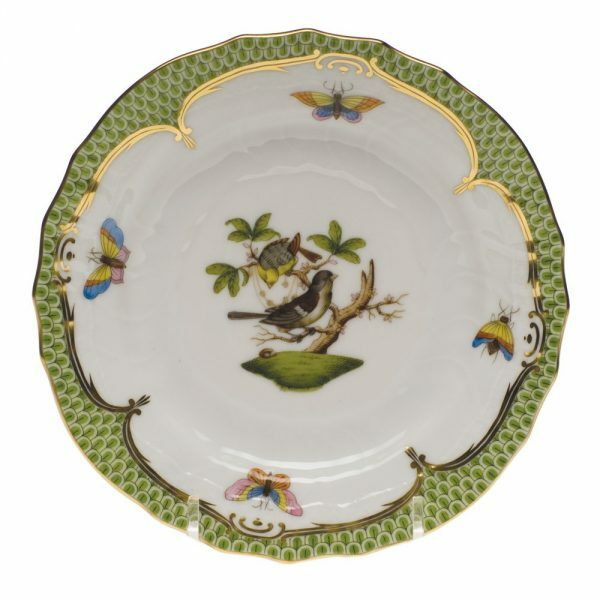 The second is conveyed by the Couple of Birds, an age-old Symbol of the Love of Man and Woman.